Fill out the form with any questions or inquiries you have for the sales consultants at Heatherton. You can also call or chat with us for immediate responses. Newton fosters relaxed togetherness for families. Flex space off the foyer provides a well-lit den or formal dining area, and the open kitchen (with optional island) overlooks a café area and gathering room, making entertaining easy. 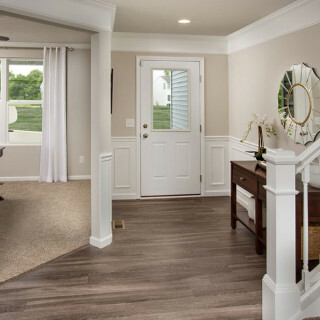 Upstairs, the Owner’s Suite features a walk-in closet, while the second and third bedrooms offer more options, from kids’ rooms to an upstairs office. 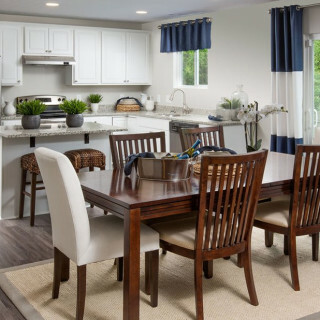 The Newton is known for its efficient layout, maximizing open-concept living without wasted space. Beautiful birch cabinetry sets the backdrop for the kitchen which boasts a floor-to-ceiling pantry and optional island for food prep and extra storage. Open to the kitchen are the café and gathering room to keep the conversation flowing. Upstairs, the owner’s suite bath features an easy-to-clean cultured marble vanity top and Moen® faucets. 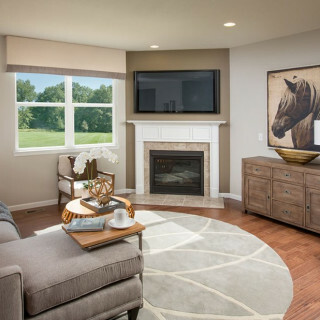 The Newton offers flex space off the foyer that can provide a well-lit den or formal dining area. The open kitchen overlooks a café area and gathering. The second-floor features an Owner’s Suite with a spacious bathroom and attached walk-in closet.